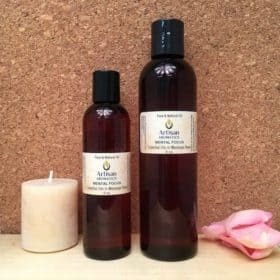 Body Bliss Massage Oil Blend is a combination of our 100% Pure Essential Oil Body Bliss Formula added to our specially formulated massage oil base. This is the same great blend that was formerly named “Achy Body”. Body Bliss Massage Oil Blend is formulated with essential oils that have been reported by aromatherapists to promote relief of routine muscle soreness associated with over-exertion. 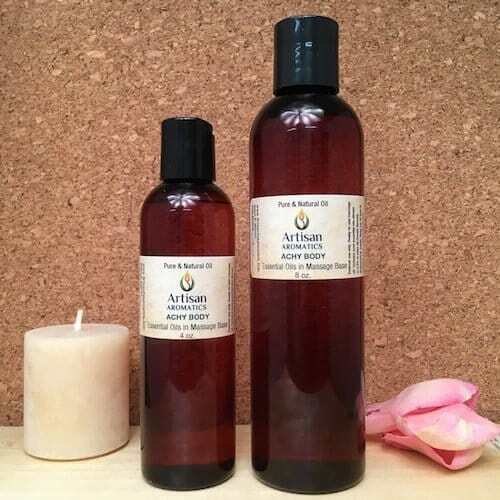 It is a ready-to-use combination of our 100% Pure Essential Oil Body Bliss Formula added in the proper dilution ratio to our specially formulated massage base of three different vegetable oils (grapeseed oil, almond oil and jojoba). 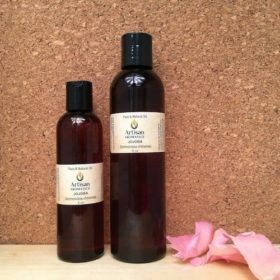 If you want to use the Body Bliss formula for direct application to the skin, this is ready to go right out of the bottle and saves you the step of having to dilute the pure essential oil blend in vegetable oil. 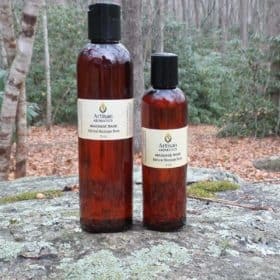 Body Bliss Massage Oil Blend is great to use for full-body massage or “spot” application to smaller areas. 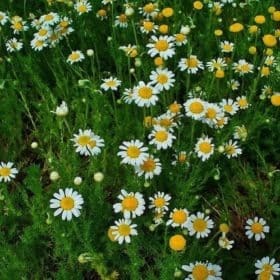 If you would prefer to use the Body Bliss Formula in a warm bath or warm compress, then choose the undiluted Body Bliss 100% Pure Essential Oil Formula.